House Speaker Joe Straus finds himself in a familiar position, fending off Tea Party primary challenges to hold his San Antonio seat and, presumably, his grip on the gavel. SAN ANTONIO — As House Speaker Joe Straus took the podium to kick off his re-election campaign, a sense of familiarity hung over the event. After fending off a Tea Party rebellion’s unsuccessful attempt to unseat him from the top spot in the chamber, Straus was back home rallying the troops to help him defeat far-right conservative challengers nipping at his heels. This time he'll face two challengers in the March 1 GOP primary for San Antonio's House District 121. Speaking before a packed room of supporters at the Barn Door restaurant last week, Straus acknowledged parallels with past campaigns, with his post an “appealing target” of the far right. Straus insists he’s taking a “first things first” approach to the race, hoping to secure his House seat before thinking about his next term in the speaker’s chair. But his opponents, grassroots activist Jeff Judson and former school teacher Sheila Bean, are convinced Straus is too moderate for Texas and don’t shy away from making clear that they’re trying to do at home what they couldn’t do in Austin: force a change in leadership in the 150-member House. With millions of dollars in his war chest — dwarfing his opponents’ funds — it remains unclear if Straus is actually at risk of losing his seat, and with it the speaker’s gavel. Straus started the year with $8.8 million in the bank even after spending almost $2 million on his campaign. Judson, the former president of the Texas Public Policy Foundation, had $62,377 on hand. Bean trailed with just $6,000. But the speaker’s opponents insist they’re snatching voters from Straus by demonstrating that his record is out of step with his own party and arguing he has few results to show after years of presiding over the House. They argue Straus is too cozy with House Democrats and point to the demise of GOP-backed initiatives, including legislation to expand school choice, a ban on so-called sanctuary cities and measures to further restrict abortion. For Bean, the race is about replacing someone who is “sending Texas in a direction that doesn’t line up” with voters in HD 121 by giving up on key pieces of conservative legislation, said campaign consultant Luke Macias. “With Joe Straus, the critique is on his record of leadership and where he’s directed the House,” Macias said. Straus refutes those claims, saying his record is backed by conservative principles, addressing issues “that matter the most” to voters like funding needed for road and water projects, boosting border security efforts and working to improve the state’s education system. For all the attention placed on efforts to unseat the speaker, voters in this wealthy enclave of the Alamo City — and Straus loyalists in the House — have fended off Tea Party attacks for years. 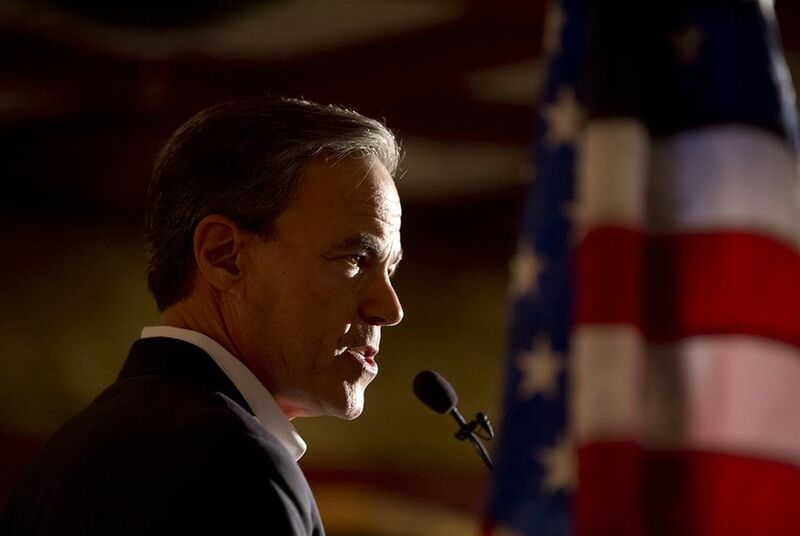 The Tea Party’s efforts to oust Straus, who was first elected speaker in 2009, date back to the 2011 legislative session when two former state representatives attempted to overthrow him. They dropped out ahead of a floor vote. Straus picked up a challenger in San Antonio businessman Matt Beebe during the 2012 primary election but easily defeated him, taking almost 63 percent of the vote. Ahead of the 2013 legislative session, Straus was met with challenges from Rep. Bryan Hughes, R-Mineola and Rep. David Simpson, R-Longview. Hughes announced his challenge first only to drop out once Simpson entered the race. Unable to garner enough support to threaten Straus, Simpson withdrew ahead of a floor vote. Straus was victorious in a rematch against Beebe in the 2014 Republican primary. When lawmakers returned to the Capitol in 2015, retiring state Rep. Scott Turner, R-Frisco, made good on his vow to push through a floor vote in his bid against Straus for the speaker’s chair. Despite a yearlong campaign by Turner, backed by a coalition of Tea Party and conservative groups, he rounded up only 19 votes. Trying again, Tea Party activists backing Straus’ opponents are pouring thousands of dollars into the race and are insisting that the regular challenges to the speaker indicate the mismatch between his leadership and voters’ views. Straus’ supporters aren’t fazed by his two challengers and argue the critics are doing nothing more than creating deeper divisions within an already fractured political party, putting at risk the clout the district wields through Straus’ leadership position. Those rallying against Straus now are a loud group whose influence is limited to primary elections, while Straus backers are aware he’s “done nothing to be ostracized for,” said Jim Lunz, a longtime Straus supporter who is often described as the godfather of the Bexar County Republican Party. Beyond the outcome of the primary election in San Antonio, the challenges to Straus' tenure — and efforts to unseat his top lieutenants — have become the most prominent examples of the internal pressures tearing at the GOP. A handful of Straus allies are facing their own challengers — often far-right candidates recruited by Republicans who’d like to oust the speaker. Far-right activists hundreds of miles away are staging forums to incite Tea Party voters, using Straus as their main enemy. But it’s the face-off in San Antonio that’s serving as the most obvious “microcosm of a larger phenomenon” within the GOP as establishment-like figures face the “wrath” of party purists, said Walter Wilson, an associate political science professor at the University of Texas at San Antonio.